A special thanks goes out to the members of the Strong Heart Members for their assistance at the Quechan Big House on Monday, Memorial Day, May 29, 2017. 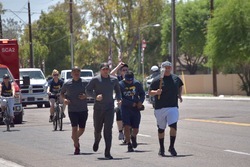 Officer Hemmer, Officer Hernandez and Chief Nerva participated in this event representing the Quechan Police Department. 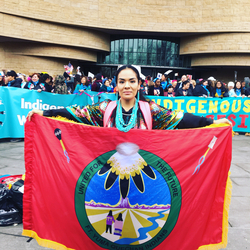 Lycia Ortega Maddocks had the privilege of attending the Women's March in Washington, D.C. on January 21, 2017, supporting the Indigenous Women Rise movement - a movement that brought together over 79 tribes from the U.S., Canada, and Mexico - and the opportunity to, “stand together in solidarity with our partners and children for the protection of our rights, our safety, our health, and our families -- recognizing that our vibrant and diverse communities are the strength of our country.” Attendees were strongly encouraged to wear traditional regalia and carry their tribal flag. 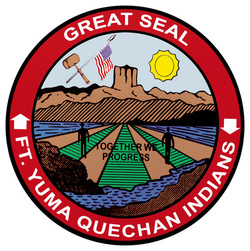 Lycia carried the Quechan tribal flag on her journey.